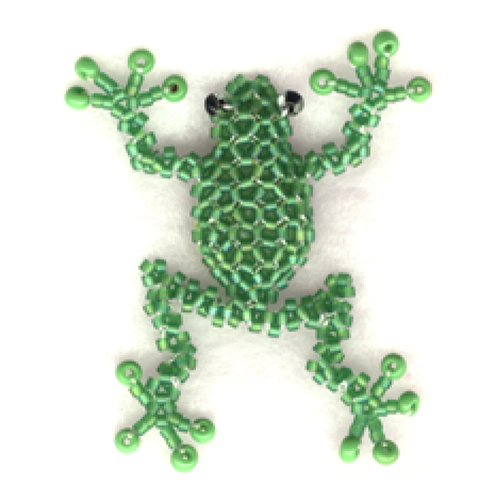 This friendly frog is done in RAW and is stuffed with beads. Make one as a brooch, pendant or toy. Or make a little pair to wear as earrings. If you are looking for something different, this is an ideal project. Learn a unique and effective way of making 3 dimensional animals. They feel very nice to touch and handle. Intermediate level. A good understanding of RAW is very important. The step by step instructions are detailed, clear and easy to follow.